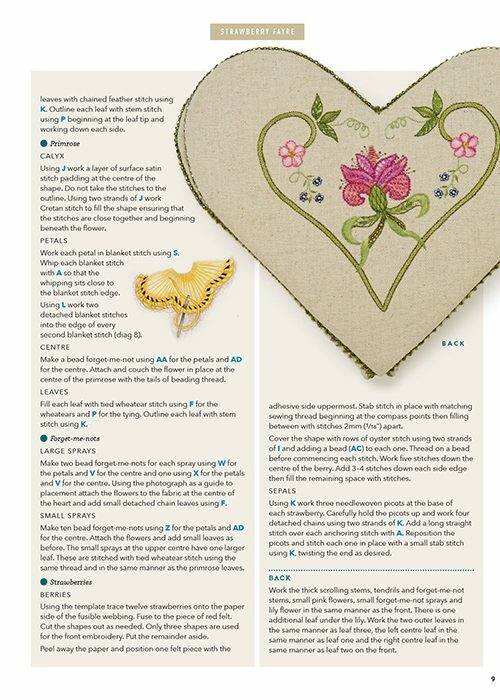 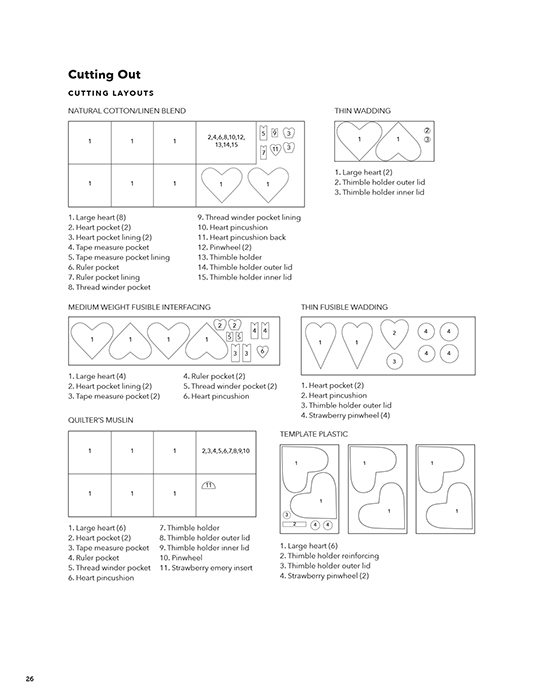 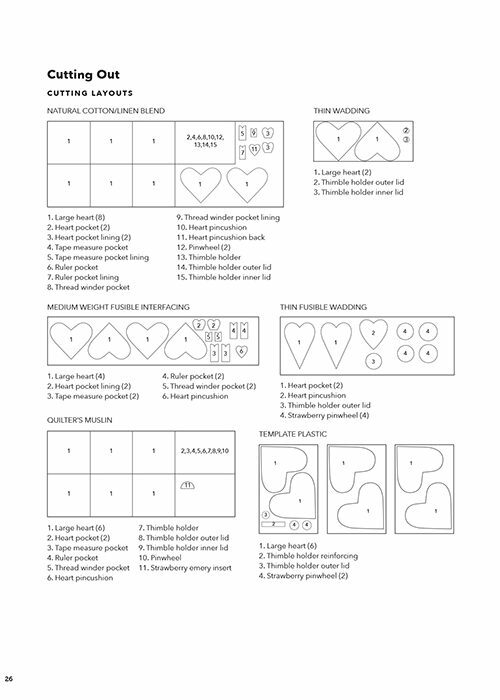 Fabulous heart-shaped necessaire with pretty surface embroidery. 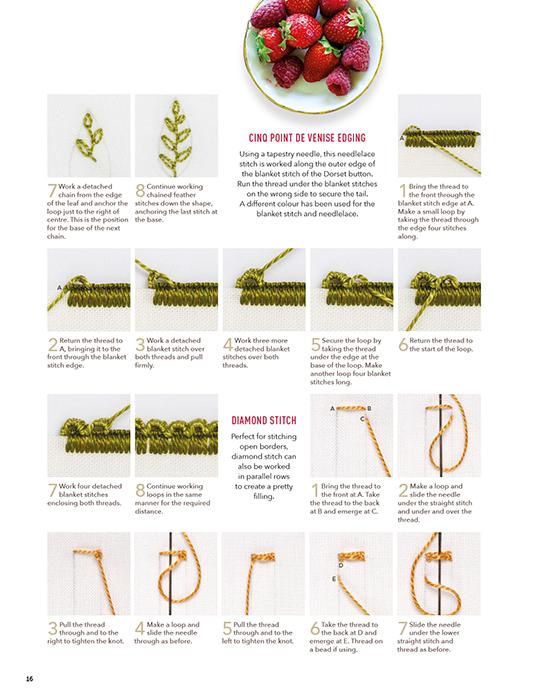 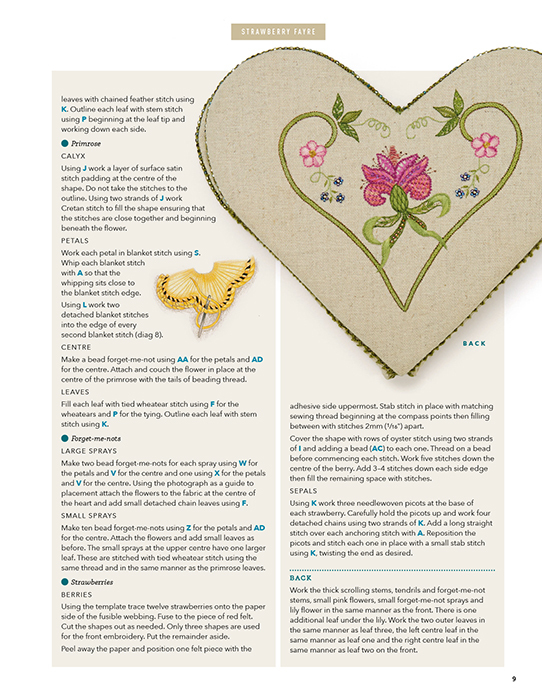 A palette of soft greens and berry pinks plus a bounty of exquisite details make this sewing necessaire an essential for every needleworker. 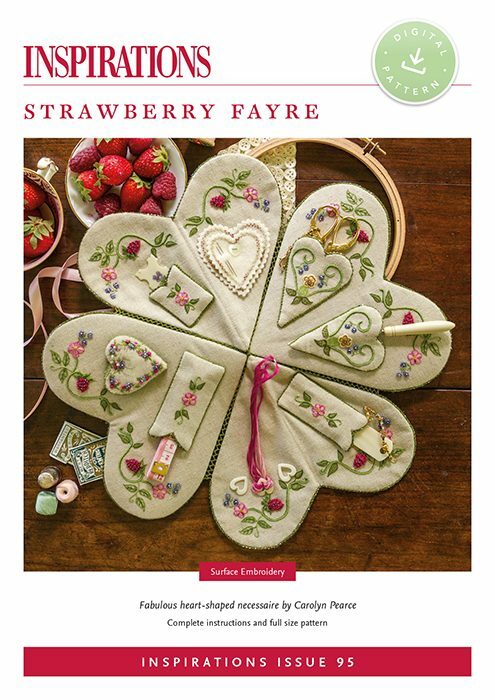 When opened the necessaire contains pockets for essentials plus a pincushion, needle pages and thread rings and it closes with a Dorset button and strawberry cord. 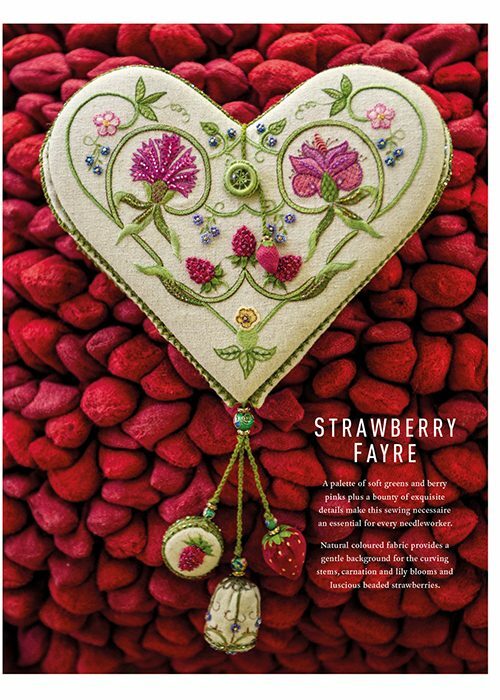 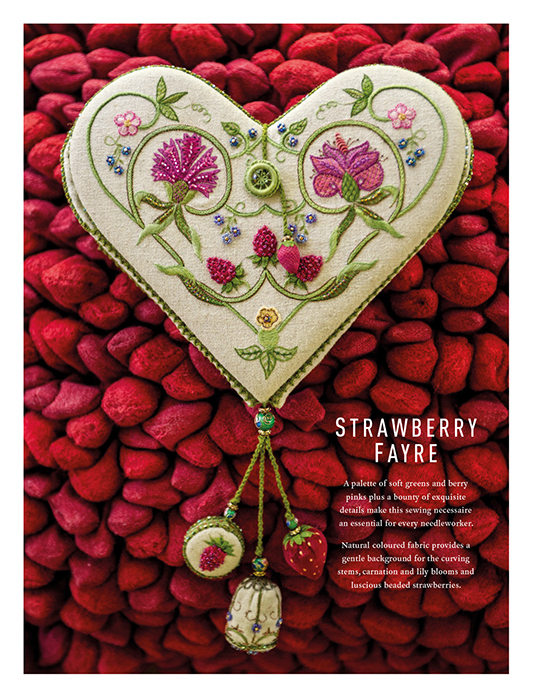 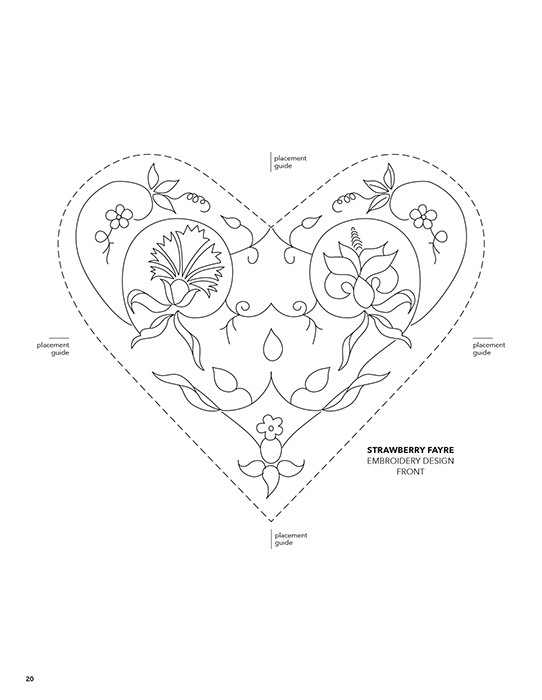 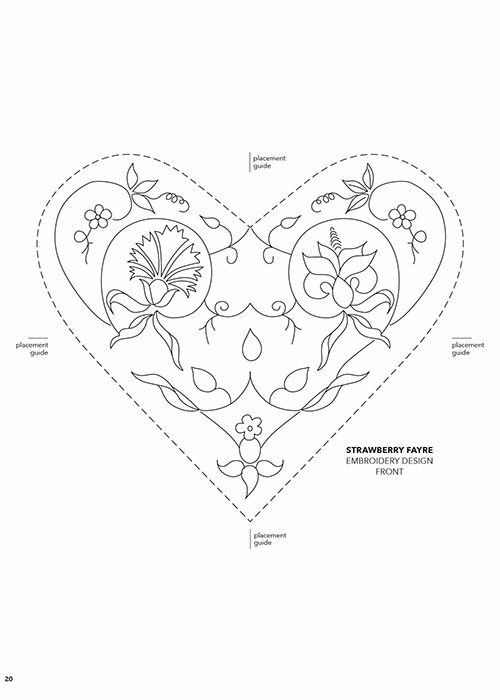 The upper edge of each heart is finished with a beaded edge and a tassel of strawberry emery, pinwheel and thimble holder swings from the lower tips.